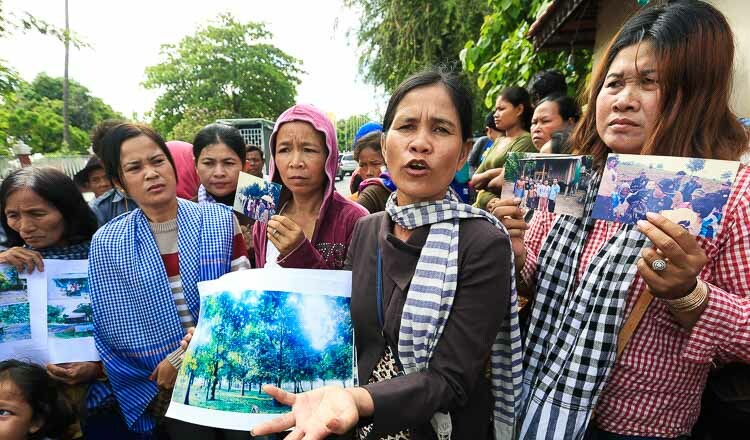 About 70 people representing thousands of Kampong Speu province households yesterday gathered once again in front of the Land Management Ministry to appeal to the authorities to take action against three rubber plantations and a sugar cane plantation over more than 2,000 hectares of disputed land. 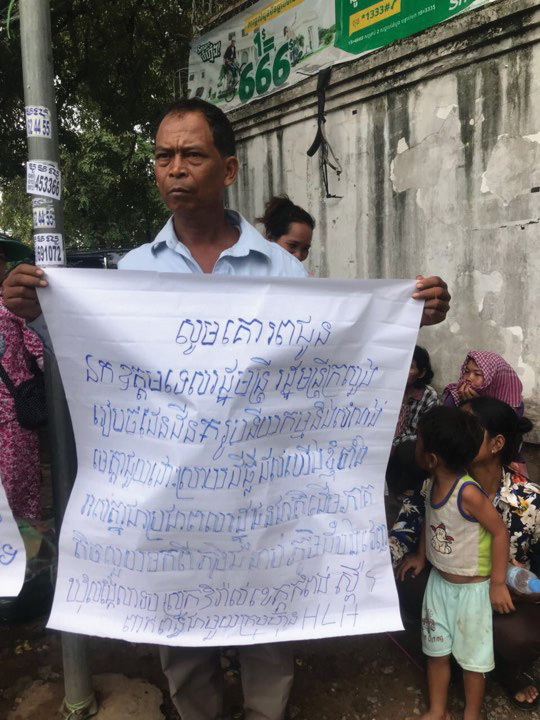 Im Chem, a villager representative, said that three groups of people from Hoang Samnom, Sangke Sratob and Trapaing Chor communes are locked in a land dispute with Fortuna and HLH companies. 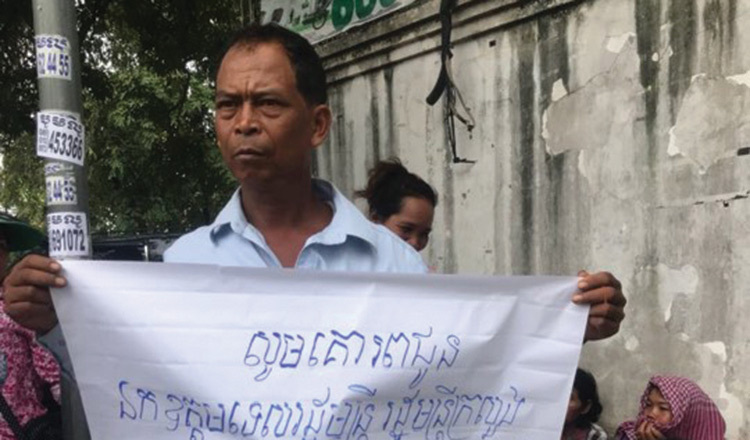 The villagers came to the Land Management Ministry in Phnom Penh after previous requests for intervention from the government were neglected. Heng Ran, head of Land Management Ministry’s Working Group for Land Dispute Resolution, said that the working group is ready to commence the identification process of all stakeholders from the disputed land starting in June. 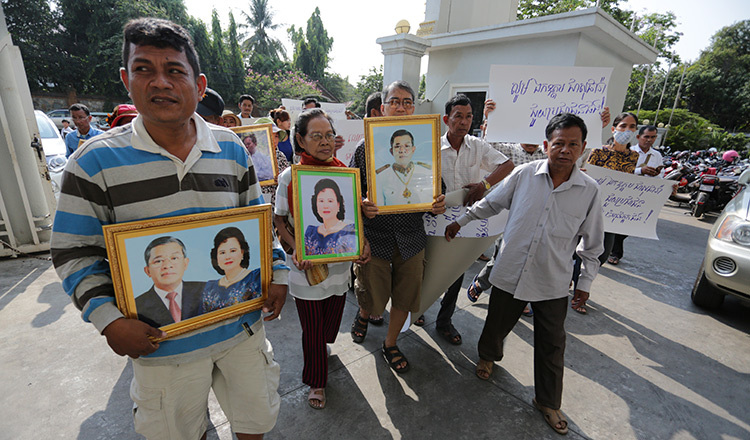 Vei Samnang, Kampong Speu provincial governor, met with villagers yesterday in front of the Land Management Ministry office. 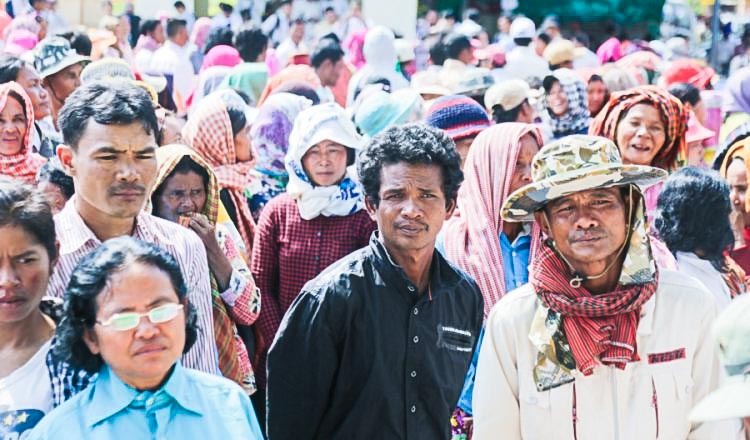 He came with food and transportation with the intention to facilitate the villagers’ return to the province. Company representatives could not be reached for comment yesterday.